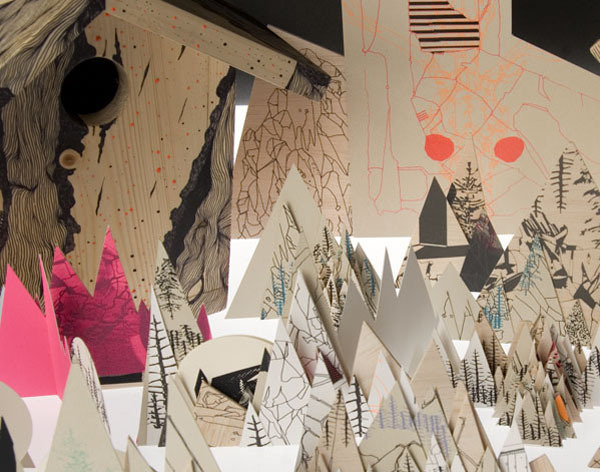 Sanctuary of wilderness is a new design studio formed by illustrators Claire Scully and Susie Wright. Claire and Susie met whilst studying for their MA’s in Communication Design at Central Saint Martins and have continued to work closely since graduating. Inspired by the nature and architecture of their surroundings, Sanctuary of Wilderness create their own visual utopia with diverse images and a broad range of applications. Through art direction, animation, exhibitions, textile designs, editorial work and their in house publishing label, Sanctuary of Wilderness allows Claire and Susie’s range of specialist skills, including silk screen printing and photography and their own very distinctive illustrative styles, to come together resulting in an exciting new direction.